The two leading corporations will work closely together digitalizing CIMC’s high-quality logistics and tracking services. 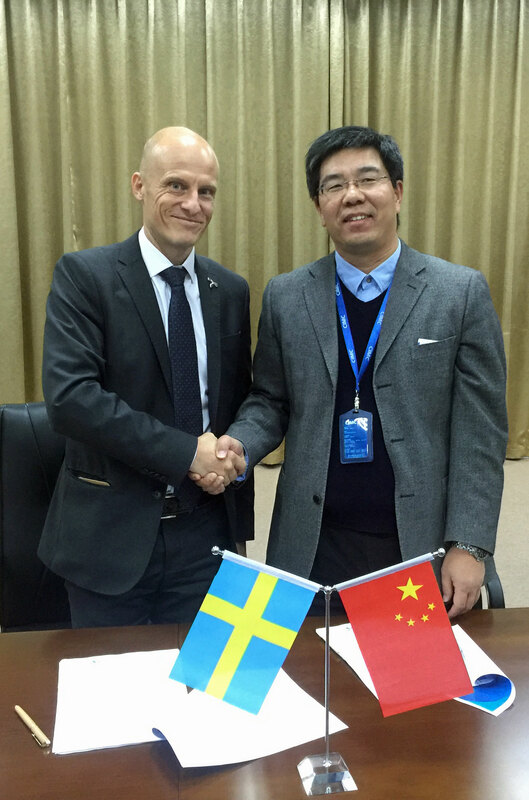 CIMC MIoT Ltd, part of China International Marine Containers Group Ltd., the world leading supplier of logistics and energy equipment, has signed a global agreement with Telenor Connexion, a leading provider of connected business solutions. Under the agreement, Telenor Connexion will provide CIMC with a world-class connected business solution, including global coverage and multi-operator set up optimizing network access for CIMC’s global connected portfolio. The contract underlines both companies’ positions as leading providers in their respective fields. The two corporations will work closely together digitalizing and developing solutions throughout the CIMC group of companies to ensure that CIMC maintain their leading position. “From the very beginning, we felt the same passion and strive within CIMC as within our company, hence it is a true privilege to work with this esteemed company. I am convinced we will jointly continue to develop industry leading solutions making sure CIMC remains ahead of competition”, said Mikael Lindholm, Head of Asia-Pacific, Telenor Connexion. “We are very excited about this relationship and the future opportunities it presents. CIMC is the largest container manufacturing company in the world and we are proud to be associated with this brand and to have the opportunity to deliver our solution to this prominent company”, said Mats Lundquist, CEO of Telenor Connexion. With over 40% market share in the international container business and 56% market share in the dry marine container market, CIMC has been the biggest container-manufacturing company in the world since 1996.